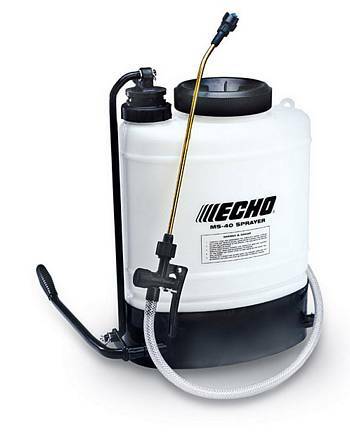 4 gallon heavy-duty Echo backpack sprayer features a heavy-duty polyethylene tank with UV inhibitors, a 16" brass wand with fan spray nozzle, safety check valve prevents leaks if tank is tipped, critical seals and O-rings made of Viton formulation allow use of harsh chemicals including household chlorine up to 3% concentration, 6" mouth for easy filling and cleaning, steel pump handle that folds back for easy transport and storage, premium quality spray pistol with brass shut-off pin and double O-rings and an agitator paddle that keeps wetable poweders mixed. *Price shown is for MS-40BD heavy duty diaphragm pump model. *Also available with a heavy duty piston pump. 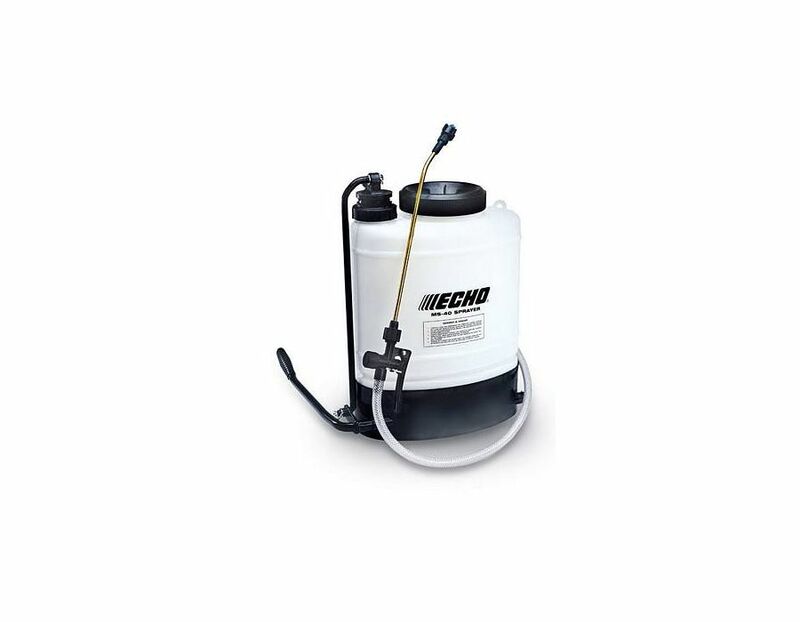 Find the Echo MS-40BD 4 gallon backpack sprayer with a heavy duty diaphragm pump at Kooy Brothers, located at 1919 Wilson Avenue in Toronto, Ontario.